For the next three years, Sargent was the star of Hook, Line & Dinner, where he traveled up and down the East and West Coasts to check out the best crab shacks and seafood eateries and talk to fishermen. Sargent says he loved it, but the whole time, couldn't stop thinking about his days as Dr. Klaw, aka the Lobstah Pushah. 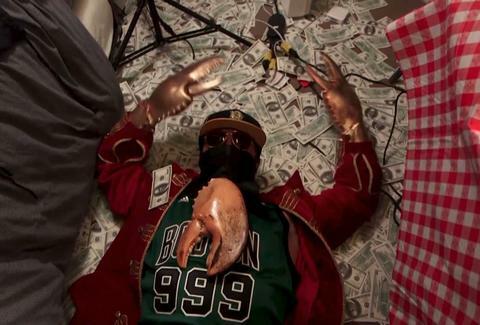 Think Ali G with a Boston accent and a giant gold lobster claw hanging from an oversized neck chain. “Nobody likes being silenced,” the 38-year-old tells me from the very same garden-accessible studio in which he used to steam all the lobsters. “Especially when you’re doing something people like and love, and they know you for it.” Ultimately, his days of working for the man couldn’t last because, as he says, “those Klaw days were just way too much fun." For the uninitiated, Dr. Klaw was Sargent’s Inspector Gadget-inspired alter ego from the spring of 2010 to the summer of 2014, surreptitiously selling lobster rolls to those who knew somebody who knew somebody who knew somebody. “I was like a cross-dresser,” says Sargent, who’s also been known to take people sport fishing along the East River after dark. “Every single night, I’d put on this soundtrack, like ‘Pusherman’ [by Curtis Mayfield] -- I didn’t have makeup, but I always kept a chinstrap [beard], and even [groomed] my eyebrows. 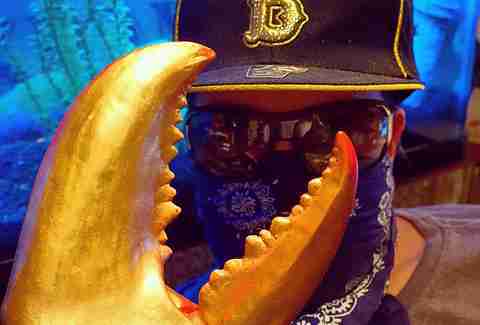 It was like a total transformation.” Think Ali G with a Boston accent, a giant gold lobster claw hanging from an oversized neck chain, and a lobster tail-inspired, custom-designed glove on his hand. His rolls, inspired by summers spent on Cape Cod, incorporated a New England-style split-top Pepperidge Farm bun, fresh steamed lobster mixed with mayo, and a little garlic butter and Old Bay seasoning. By the time his apartment operation started, his above-ground brick-and-mortar was long gone. In 2009, Sargent was experimenting with a chowder book concept and had friends come by his apartment to try his recipes. And though he was cooking up chowder (his acclaimed versions at Hurricane Hopeful led to an appearance on the Food Network’s first Throwdown! with Bobby Flay), it was his lobster rolls that ignited the most fervor, so he narrowed the operation to lobster only. Word got around, and the clandestine supper club became a regular occurrence. Soon there was a Facebook page that provided a phone number to call, and he was in business. It’s hard to imagine how many people could have possibly squeezed into the cramped space or how he managed to generate hundreds of made-to-order lobster rolls a night, not just because of the minimal square footage, but also because, as he says, it “looks like Captain Ahab has taken an acid tab” -- old surfboards suspended from a low ceiling, rows of cookbooks crammed along one wall, overstuffed kitchen shelves holding pots, pans, spice, etc, and most mesmerizing, a glowing aquarium filled with crayfish that looks like a cross between an underwater junkyard and a sea wreck. "The fire department said I had enough propane to blow up an entire city block." 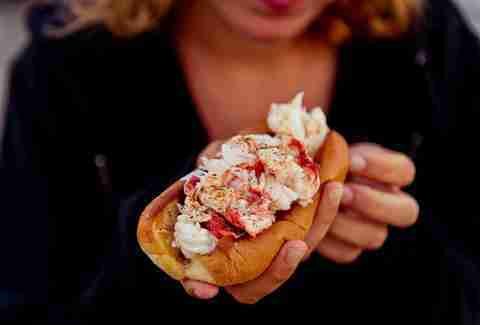 In early 2010, after a few press outlets reported on his new venture (honoring his underground business by not revealing the exact address), more customers showed up looking for him and his lobster rolls. And ultimately, so did city officials. “The fire department said I had enough propane to blow up an entire city block -- I was using it to steam off lobster out my backyard,” he says. But Sargent wasn’t ready to go, and soon Klaw appeared, taking Sargent’s game to the street. Customers would call or text with an order, and Dr. Klaw, in full regalia and a hood obfuscating his face, would meet them outside for the handoff, charging $14 a roll. But it wasn’t just the crustacean-tainted cash flow that drew comparison to Sargent being a drug pusher. From the front stoop of his building, he points out the red wall with barbed wire where customers used to line up to wait for the goods, sometimes 20 deep. Every night, from sundown until four in the morning, when the bars would let out, he’d emerge and quickly make the transactions. He recalls the time Sarah Jessica Parker, Matthew Broderick, and their son showed up in a Zipcar to pick up an order. And in a matter of time, so did the DOH. In the end, Sargent suspects he had been outed through Foursquare, the app that lets users discover places like restaurants and bars through their social network. Apparently, one customer wanted to be “the mayor” (i.e. the person that has checked in most to a location in the past 30 days) of Dr. Klaw’s Underground. "I was like, dude, you just gave away my exact location." 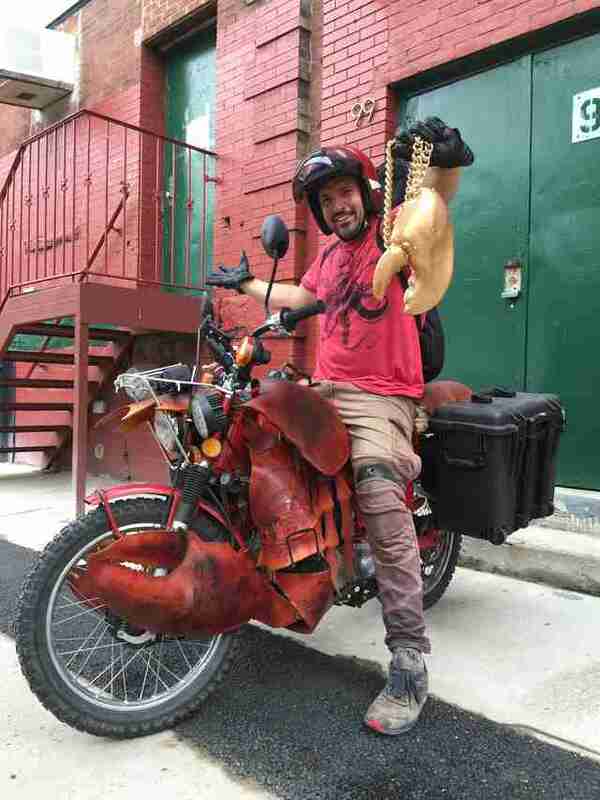 But now, Sargent’s in the last days of a $45,000 Kickstarter campaign to resurrect Dr. Klaw: a solo cross-country road trip/cooking show, livestreamed via Periscope, featuring his custom-built lobster motorcycle and pop-up food events. He likens it to a choose-your-own-adventure book, where viewers can watch in real time as he hunts for Dr. Klaw, dropping in on a downloadable app and helping decide the course of his trip as he tracks down “genuinely crazy, underground” fishermen and seafood chefs at the dock that you wouldn’t normally see on network TV. And that’s not the only thing that separates this new show from Sargent’s old one. “The entire thing is an experiment,” says Sargent, who will be using a GoPro to film his adventures. “Not having a crew will let me get into the action in a way I was never able to do with a team of five people. We missed a lot of crazy stuff trying to set up cameras and making wardrobe adjustments for continuity and stuff. 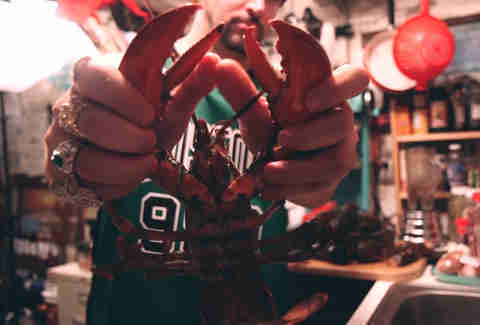 The biggest difference is this time, the audience gets to taste the food because they will be given secret locations along the way where they can meet me and be part of the adventure and the tasting.” It's easy to see why it's appealing to him; this new project seemingly has the potential to be just as personal and community-serving as his underground lobster roll business. What Sargent does know is that Dr. Klaw is coming back to town. And soon, maybe even to yours.